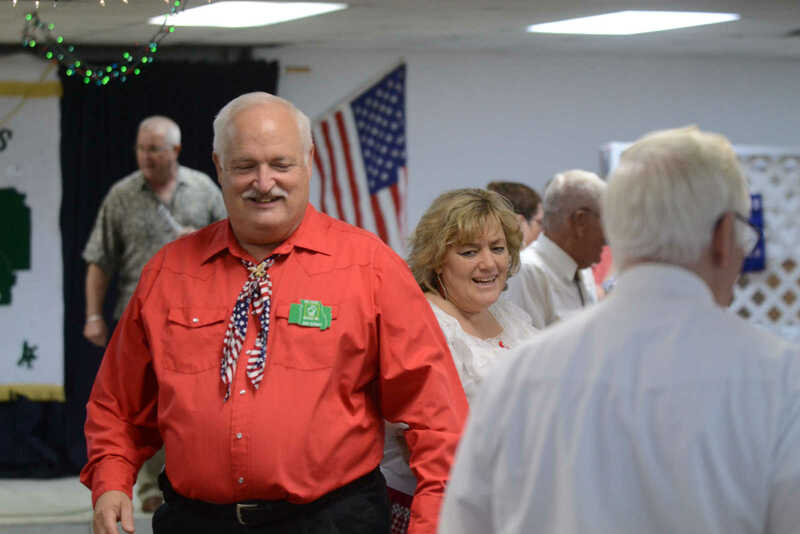 Left Bob Burney, of Nevada, smiles as he dances Friday at the Fairgrounds in the Red, White and Blue Square Dance. 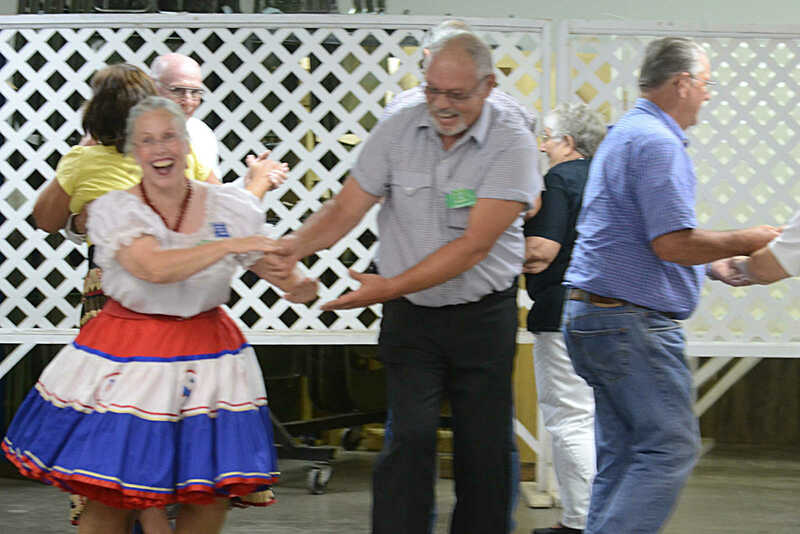 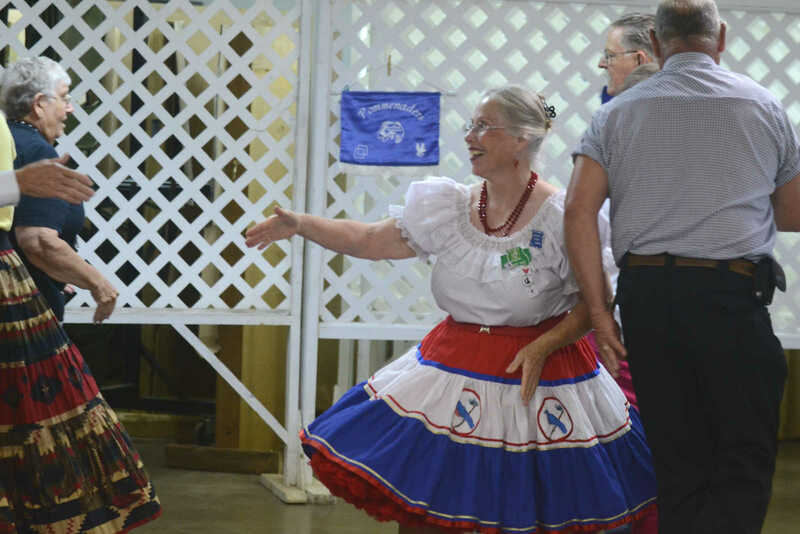 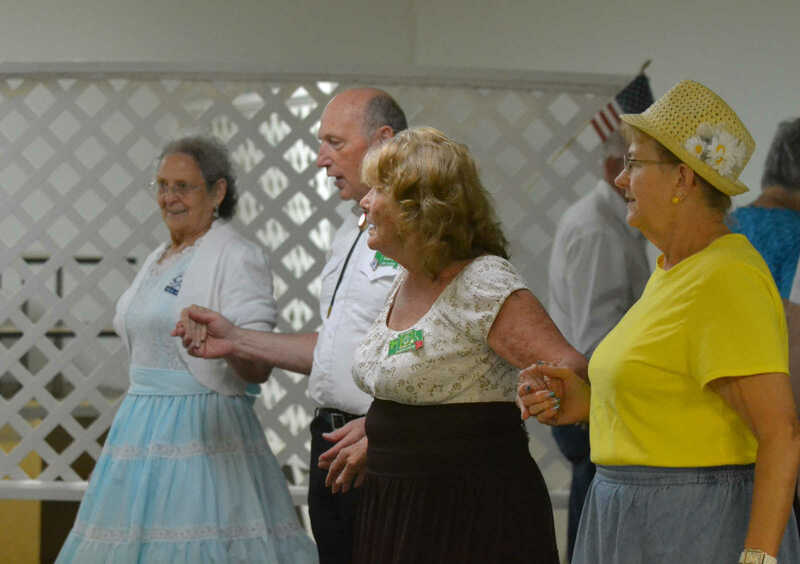 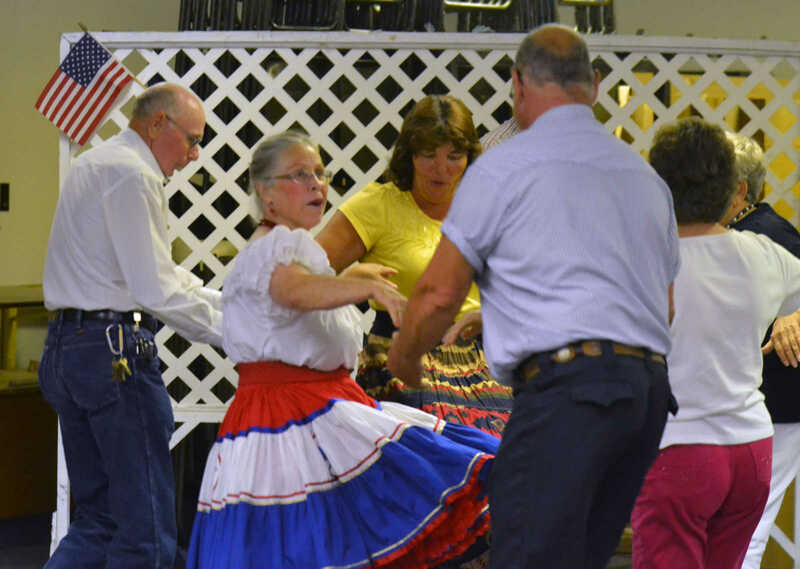 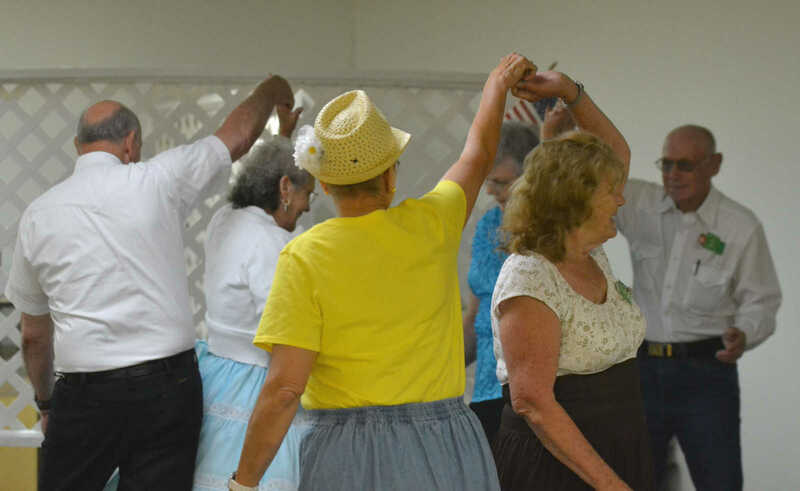 Mary Alms, of Rich Hill, reaches out her hand Friday at the Fairgrounds in the Red, White and Blue Square Dance. 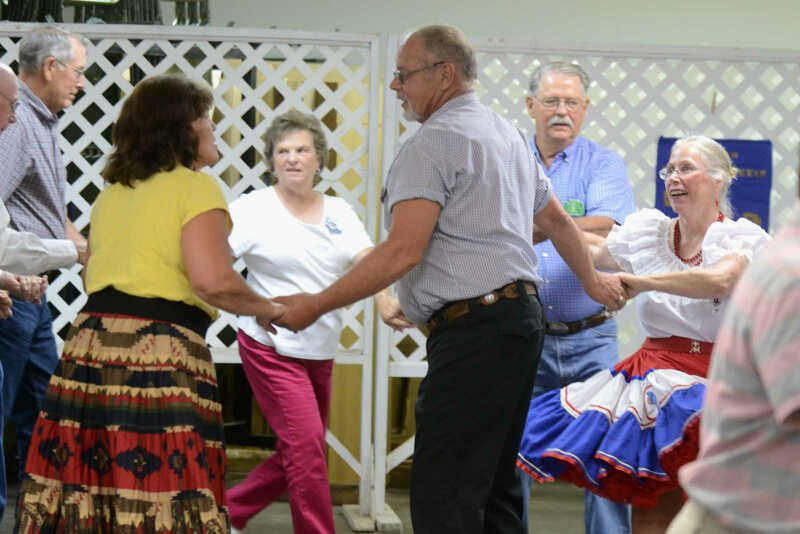 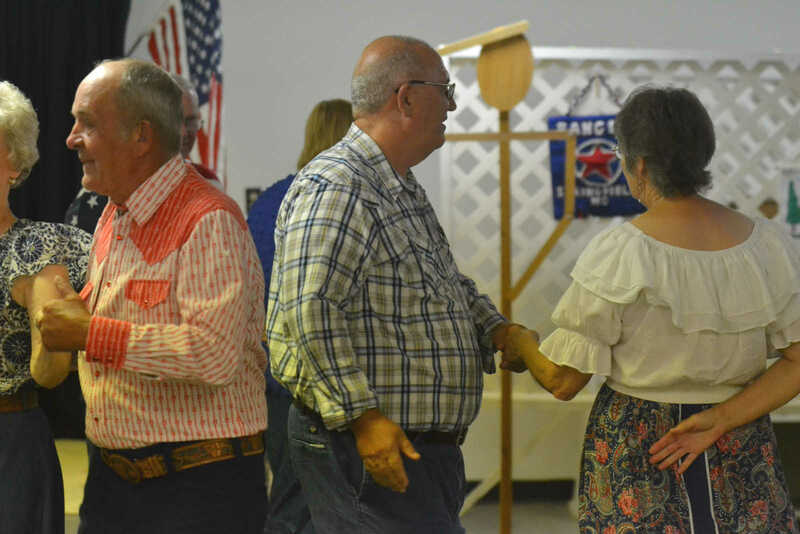 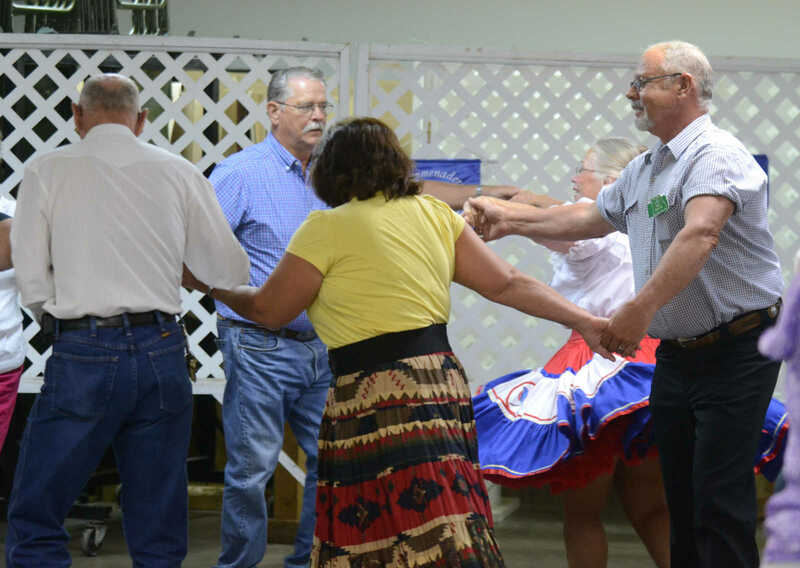 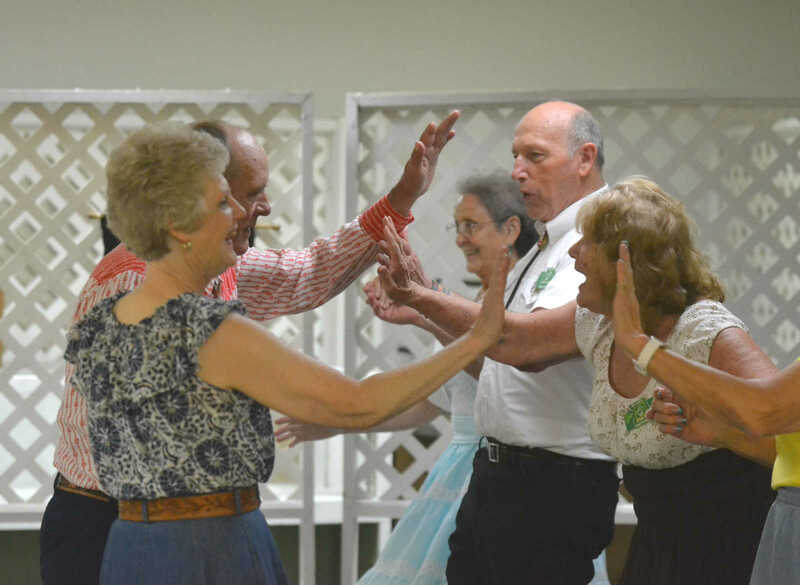 Mo-Kan Square Dancers clapped and danced Friday at the Fairgrounds in the Red, White and Blue Square Dance.